Four areas will be discussed: Diagnosis and Treatment planning implants through digital software, Single tooth innovations specific to Screw vs. Cement Retained Restorations, Contemporary Concepts to treat the severely resorbed Maxilla, Innovations in treating the edentulous Mandible. 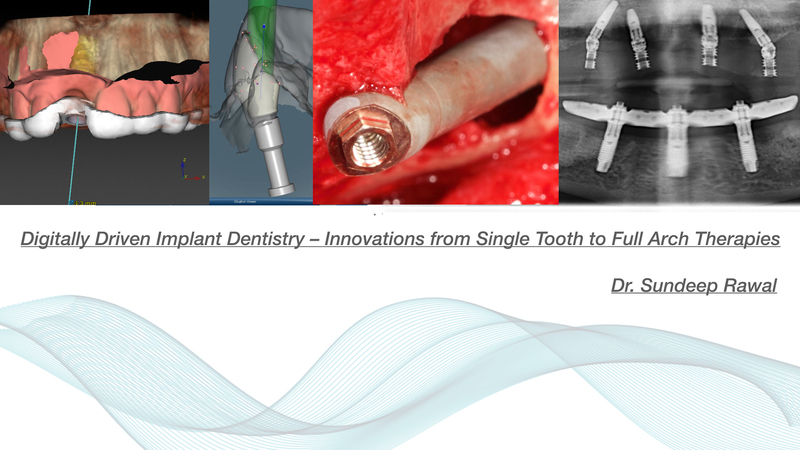 “Digitally Driven Implant Dentistry – Innovations from Single Tooth to Full Arch Therapies” is co-sponsored by Tribune Group GmbH. Tribune Group GmbH is a recognized ADA CERP and AGD PACE provider. At the end of the webinar, after passing the C.E. Quiz, you will be able to download your ADA CERP and AGD PACE C.E. Certificates.